The telecoms regulator has today published its preliminary proposals as part of a major Strategic Review of the United Kingdom’s Digital Communications market, but the big news is they’ve decided NOT to completely split BT from its national broadband and phone network (Openreach). Openreach was setup a decade ago after Ofcom’s original review in 2005, which among other things forced BT to open part of their network to competition (“functional separation“) and introduced Local Loop Unbundling (i.e. allowing rival ISPs to install their own kit in BT’s telephone exchanges, giving them more control over ADSL broadband and phone). Since then the market has evolved and the new “fibre broadband” (FTTC) services don’t offer the same kind of control or price flexibility as the older LLU ADSL solutions. Meanwhile many of BT’s rivals feel as if the operator still has too much control over Openreach and aren’t investing enough in their infrastructure, which they claim has damaged competition and performance. By comparison BT say they’ve invested billions into the national infrastructure, are delivering a good level of service (i.e. meeting Ofcom’s targets) and claim that their rivals seek a free ride off the back of all their hard work. BT has also warned that splitting Openreach could damage their plans to invest in future “ultrafast” G.fast broadband upgrades and the 10Mbps USO (details). Furthermore there were also fears about the risk from a protracted legal battle, concerns over how BT’s huge pension deficit and group debt would be split and uncertainty over who would provide Openreach’s future investment. On the other hand BT’s rivals believe that an independent Openreach could have fostered investment into superior FTTH/P technology and made the market more open and fair for everybody. Ofcom’s job in all this was to navigate the maze of conflicting claims and decide what the market should look like for the next 10 years. The result is a compromise rather than total separation. Not that the outcome is good news for BT and indeed some of the measures look like painful medicine. In the end Ofcom’s review did find “evidence” to show that Openreach “still has an incentive to make decisions in the interests of BT, rather than BT’s competitors, which can lead to competition problems“. It also said that “other telecoms companies have not been consulted sufficiently on investment plans that affect them“, which they believe is something that needs to change. * Openreach must provide comprehensive data on the nature and location of its ducts and poles. Using these, rival ISPs will be able to build their own fibre networks, connected directly to homes and offices. * Ofcom claims that Openreach’s governance lacks independence from BT Group and as a result they will overhaul it, which should allow Openreach to take its own decisions on budget, investment and strategy. The new management would be required to “serve all wholesale customers equally, and consult them on its investment plans“. There will also be greater transparency over how costs and assets are allocated between Openreach and the rest of BT. * Ofcom will introduce even tougher minimum service requirements to push Openreach into repairing faults and install new lines more quickly. * The regulator will also introduce new performance tables on quality of service, identifying the best and worst operators on a range of performance measures “so that customers can shop around with confidence“. * Consumer broadband, phone and mobile operators will also have to introduce “automatic compensation” when things go wrong, such as due to a “loss or reduction of service” (this is a feature that used to only be offered alongside business products). * Future auctions of radio spectrum, specifically those that will go to mobile network operators, will include new obligations to help improve rural mobile coverage. * Ofcom will also work to make switching mobile operators easier and will soon publish a new consultation. * Ofcom also said they would work to help the Government design a 10Mbps Universal Service Obligation for broadband, but then we already knew they would. The regulator claims that the new model of Openreach governance (detailed proposals on this are expected to surface later in the year) might require the company to “become a ring-fenced, ‘wholly-owned subsidiary’ of BT Group, with its own purpose and board members“. Ofcom also said that they would reserve the right to “spin-off” Openreach “as an entirely separate legal entity, with its own shareholders,” albeit only if BT doesn’t play ball with their proposals. But first the regulator will need to address this proposal with the European Commission (EC) and no doubt BT will object. “People across the UK today need affordable, reliable phone and broadband services. Coverage and quality are improving, but not fast enough to meet the growing expectations of consumers and businesses. So today we’ve announced fundamental reform of the telecoms market – more competition, a new structure for Openreach, tougher performance targets, and a range of measures to boost service quality. The result is unlikely to please everybody and indeed we could well be back here again in the future because the issue of BT’s status in the market is a bit like the playground pinata; every now and then a group gets together to take a bite out of the seemingly unmovable object, such is the reality of being an incumbent Telco in today’s market. Meanwhile there’s the question of what impact Ofcom’s changes will have upon the market, assuming all of their proposals survive the inevitable bickering match between warring operators. History tends to show that big changes need a year or so to solidify before ISPs start to take advantage of them, but some (e.g. greater access to Openreach’s network) may simply be too attractive to go unused for that long; assuming they can get the prices right (that’s a big question). At this point we’d say that BT can already grant access to their cable ducts and poles through the Physical Infrastructure Access (PIA) solution, but this can’t be used for connecting businesses and suffers from other limitations that have limited its uptake. Hence Ofcom are proposing something much more significant. Similarly there’s the other question of how all this will affect the price that consumers pay, particularly in regards to the impact of Ofcom’s new quality standards and a move towards automatic compensation. Both could add extra costs on to both ISPs and Openreach, which may end up being passed on to consumers (it will be difficult to do this on the cheapest ISPs without raising prices). No doubt ISPs will also want Openreach to help cover the cost of compensating for any related service outage, which in the past has often been a big bone of contention. At this point we’ve only had a chance to glance at the report and will come back to highlight other details as the day continues. In the meantime the big question mark is over how BT will react and indeed whether or not they might find the adjustment so tough as to prefer a spin-off, but we view the latter outcome as being very unlikely. We expect their response to come at around 9am. Finally, it’s worth saying that the changes will all be introduced gradually through Ofcom’s periodic reviews (e.g. the next Wholesale Local Access and Wholesale Broadband Market Reviews) and not in one big bang. In other words it could take a couple of years before all of today’s proposed changes are fleshed out and become real for the market. Reading through the document we note that Ofcom are not yet proposing to make any firm changes to the pricing of Openreach’s FTTC (VDSL) “fibre broadband” service, which will disappoint TalkTalk and Sky Broadband. Ofcom reasons that this could happen in the future, but it also wants to encourage rival ISPs to build their own alternatives. 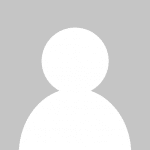 “Competing providers should be incentivised to build their own networks where this is viable. It must not be too ‘easy’ for competitors to rely on ‘buying’ access to another’s network when there is the potential to invest in their own,” said Ofcom’s report. However Ofcom’s notes that their position may change, particularly when they come to begin their next wholesale local access review that will cover the 2017-2020 period. “By 2020 superfast broadband services are predicted to account for the vast majority of broadband connections. Pricing flexibility will have been applied to BT’s FTTC investment for 10 years. For this market review, there will be a variety of arguments in favour of reduced pricing flexibility, including potentially reaching the original date for expected payback. In this context, we may be coming toward the end of the fair bet, which could result in a transition to some form of charge controls,” concluded Ofcom. BT has now given their response and it appears to include a proposal for Openreach’s new governance structure, although we’re not given any detail and thus can’t see how it compares with Ofcom’s approach. “The UK is ahead of its European peers when it comes to superfast broadband and we want it to maintain that position. That is why BT is keen to make significant additional investments over the next five years and beyond. We want to build an even faster network and we also plan to address slow speeds in the final five per cent of the country. It is also important that we give small businesses further options aside from dedicated lines, which suit many but not all. Customer expectations have increased dramatically in recent years and we are keen to work with Ofcom and industry to meet those expectations. We all want to improve service. Openreach is already subject to regulated service standards and we are happy to work with Ofcom to improve them. Our plans would help ensure the UK remains the leading digital nation in the G20 and we are keen to get on with the job. They involve large scale investment however and that requires a high degree of regulatory clarity and certainty, something that is missing at present. Ofcom have today explained why breaking up BT would not lead to better service or more investment and that structural separation would be a last resort. We welcome those comments. The focus now needs to be on a strengthened but proportionate form of the current model and we have put forward a positive proposal that we believe can form the basis for further discussions with both Ofcom and the wider industry. Our proposal includes a new governance structure for Openreach as well a clear commitment on investment. Openreach is already one of the most heavily regulated businesses in the world but we have volunteered to accept tighter regulation to bring matters to a clear and speedy conclusion. We are happy to let other companies use our ducts and poles if they are genuinely keen to invest very large sums as we have done. Our ducts and poles have been open to competitors since 2009 but there has been little very interest to date. We will see if that now changes. The Independent Networks Co-operative Association, which represents a number of alternative network operators, has also given their feedback. “We are disappointed that Ofcom hasn’t gone further to challenge the control BT exercises over the communications market, but pleased that Sharon White and her team have recognised the need for significant changes. INCA members build new fibre and wireless networks, often in the most challenging areas of the UK. For too long they have struggled to make sense of the rules and restrictions surrounding access to BT’s ducts and poles. Oh and here’s one from rival ISP Hyperoptic. 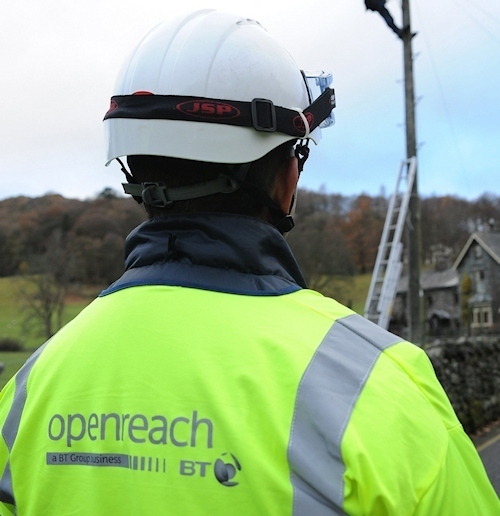 “Hyperoptic, the U.K’s leading 1 Gb provider, welcomes Ofcoms decision to force Openreach to properly open its duct and pole network to allow other operators to rollout competing infrastructure services. Having already trialled using those ducts to offer our 1 Gb service, we will be able to reliably and affordably offer our market leading 1 Gb service to even more consumers. Now a statement from Sky UK. “We welcome Ofcom’s recognition that the current Openreach model is not working and that fundamental change is required. BT must now be held to account for improving service and enabling delivery of fibre to Britain’s homes and businesses. Ofcom’s actions today are not the end of the debate but a staging post towards delivering the network and service that Britain needs. We believe the simplest and most effective way to fix the current broken market structure is for Openreach to be completely independent. We are pleased to see that separation is still on the table. Look out, more comments from the industry. Meanwhile BT’s share price is currently hovering up by +2-3% today. “Ofcom has done well in identifying many of the worst problems, including recognising, finally, that BT’s control of Openreach creates a fundamental conflict of interest which hurts customers. “This once in a decade review has confirmed ITSPA members’ views that Openreach has not delivered the performance that the communications industry or the UK needs. We believe that Ofcom’s proposals for further scrutiny and an increased focus on service quality will ensure a fairer marketplace for all Openreach customers whilst also supporting vital investment in faster broadband services. “We welcome Ofcom’s move to tighten its regulation and governance of BT Openreach and leave structural separation on the table. We also welcome the move to open up BT’s ducts and poles, which we have successfully used in other countries such as Portugal to provide customers with fibre to premises. However, BT still remains a monopoly provider with a regulated business running at a 28% profit margin. Therefore, we urge Ofcom to ensure BT reinvests the £4 billion in excess profits Openreach has generated over the last decade in bringing fibre to millions of premises across the country, and not just make half-promises to spend an unsubstantiated amount on more old copper cable: we agree with Ofcom that fibre is the future. “It is clear from Ofcom’s key strategic proposals that Openreach cannot and will not be allowed to remain solely responsible for delivering the fit-for-purpose infrastructure essential to fulfil the UK’s digital potential. Healthy competition and continued investment in fibre from multiple companies is vital. Ofcom’s strategy to encourage fibre investment, improve competition, and to ensure meaningful and usable access to BT’s physical infrastructure, creates a unique opportunity for alternative providers, such as CityFibre, to accelerate and extend new and existing roll-outs of next generation, ultrafast, fibre to the premises infrastructure projects nationwide. Alternative infrastructure providers, such as CityFibre, play an increasingly crucial part in the landscape and we are encouraged to see the report explicitly reference its support for the large-scale deployment of ultrafast networks. Innovative infrastructure builders are already responding to demand from businesses and consumers for ever increasing demands for pure fibre infrastructure and companies like ours are central to a shared goal of enabling the UK to compete and succeed in a digital age. Ofcom also recognises that at a technological level, BT’s continued strategic reliance on and investment in copper-based infrastructure – often masquerading as fibre – is inadequate to meet the soaring demand driven by new services and increased usage habits that the market continues to observe. Finally we have a comment from Virgin Media and by “finally” we mean there’s already enough commentary above and this will be the last one we add. “The best way to provide competition against BT and its inherited advantages is to support infrastructure investors like Virgin Media. We are challenging the incumbent with £3bn of investment in new network and providing choice. Ok fine.. just fine, have some more comments, but truly this is the last lot. “I broadly welcome the review – the industry has dramatically changed over the past ten years and so it was in much need. However, I would certainly say that the devil is in the detail. The 112 page review outlines OfCom’s plans but nothing has yet been confirmed about the key issues and actions that will be taken that the industry faces. For example, Openreach does need reforming, which OfCom acknowledges. It’s very positive to read that it will undertake a review of 8 possible models of separation – these range from improving the governance up to a complete structural separation from the rest of BT. So will they be making PIA cheaper? Let’s see if I’m right, anyone want to run a book, Ignition? I suspect they want PIA to be as easy to use as MPF with predictable pricing, single point ordering and so on. If that’s the case, then good luck with whoever gets that job given what I’d guess is a massively complex historical legacy. Alternatively, is Ofcom expecting that alternative operators will have full responsibility for all the necessary works, planning and so on? Not cheap I imagine and it will surely require lots of access to internal OR infrastructure systems. Lots of integration work there. @Steve Given Sky spend enough to build FTTP to every premises in Leeds on Premier League rights every 6 weeks I’m sure they could manage. But with the football rights Sky at least know they will get a relatively quick return as they get the subscriptions every month. Fibre infrastructure would be a completely new game for them If they did fibre up Leeds, what would the takeup be? How long would the ROI be? Would they wholesale it? Putting up lots of capital for a return over 20 or 30 years would be a big ask. I suppose we might get some of the answers from the York trial. One thing that’s not obvious to me is how this will help the rural communities. It might make things a bit cheaper for the likes of Gigaclear of course, but they tend to target clusters of relatively affluent households. Indeed Steve, however the key point I’m making is that they have the funds, they are making a choice to be risk averse. TalkTalk don’t have the funds. Vodafone are having their on-off relationship with Liberty Global so doesn’t make sense for them. Sky have exactly zero reason beyond that they want others to do the work, build the networks, and take on the risk. Good to see the focus they give on “A strategic shift to large-scale fibre deployment”. It certainly looks like a message to Sky, TT (or someone new) to seriously up their game, and start deploying fibre. 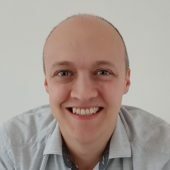 Is PIA++ really going to be attractive to someone like Sky or TT? Something to assuage their inability to make the York trial cost-effective? There is interesting language to act as a carrot too. “We will make it easier for telecoms providers to invest in advanced, competing infrastructure, while protecting those who have already made investments.” I wonder what protection that means? There is a twist on the expected stick: mention of BT wholesaling “active access” in uncompetitive areas, followed by a mention of removing regulation where things work. Could this make for the removal of requirements for BT wholesaling access where there is a third network? Is it high though, maybe more along the lines of both leasing and having to field a new engineering workforce/contractor base isn’t “seen” as viable in the short term? Initially costs are high and all the businesses in the market are so short term with their goals! It certainly seems so from their language, i.e. split off the OR and we’ll invest in the network, rather than let us have access cheaper and we’ll build our own. The expensive bit is all about the same sort of stuff which makes it expensive for OR to install fibre. The whole thing about surveys, clearing blockages, streetworks, chambers for aggregation points and so on. That stuff is highly unpredictable until the survey is done. Of course what OR might do is just provide the alternative network builders with the plans and let them do all the engineering work (presumably with some NICC agreed standards). That’s quite a big ask. I can see some network operators using this to install their own dark fibre to their own aggregation points though (especially if OR have recently cleared out all the ducts for FTTC/FTTP). That way it avoids a lot of rectification work. I’m less convinced that they will want the job of extending across the last mile of the network though. In any event, installing networks is a long term commitment with an extended payback period, whoever does it. It will be the money men that decide. Will compensation be fully regulated for PIA too? Where a 3rd party knocks out service, will they be liable for compensating customers and suppliers who have been disrupted? e.g. contractor for ISP X kills the service for suppliers Y and Z, affecting N customers. Presumably OFCOM will put in strict rules about registered works, unregistered works would result in hefty fines. Clearly there would have to be a whole set of financial and responsibility considerations for any company licensed to work on BT’s PIA. My guess is that there would also have to be some form of passive infrastructure standards body roughly along the lines of the NICC not to mention processes for capacity and infrastructure planning. I imagine a big row over the (inevitable) cost of rectification work. There aren’t going to be many companies volunteering to be first down a duct to sort that sort of stuff out if the benefit will accrue to other companies later. Sorting out a financial model for that sort of thing is going to be tricky. A lot of the capex spent on the commercial FTTC rollout will have covered that sort of work, and I imagine that expenditure would now have to be dumped into some centralised pot so it counts against PIA infrastructure, not BB as such. In any event, this is going to be expensive. nb. I’m going to make a prediction now that OR will consider a wholesale price reduction on the GEA-FTTC and GEA-FTTP products. There’s probably quite a lot of potential for that, especially if it increases penetration and cements OR’s position. Any new network builder is going to find themselves putting in a network in parallel with one with a “sunk cost”. Unless Ofcom regulated the GEA-FTTC prices to keep them higher than is necessary it would be a disincentive to invest (and I can’t imagine VM would be happy either if GEA-FTTC prices were to be reduced). They outline what needs to be done, but are uncertain how to go about it. We should start at BT Groups written evidence to CMS Select Committee Feb 9th claiming they will have contributed £330m capital. If you have no additional invoices to show the NAO or BDUK it does not count. Uhmm. Count as what? This isn’t primarily about BDUK. As far as capex is concerned, then the total amount is in the accounts. Just how it is split and allocated will be deep in the finance systems, but I suspect it will have been against particular internal budget lines. The BDUK thing is done. 90% of the country now don’t care either way. Let’s worry about the future. @steve, that’s the point, it is not in accounts, and we are a long way from being done. 20,000 cabs for £750m – less clawback is still > £44k a cab on average where total average cost is no more than £25k ish before bT contribute. We are not done by a long way. The BT Gambit is stilling running high. Monies owed in addition to clawback need to acknowledged and the job finished including in-fill. 3 year battle to reveal abuse on cost needs another two to get the truth on the capital contribution and the monies returned or invested. It is not done, about half done in terms of the monies owed. Whatever comes out of this strategic review, the ongoing consultations will take a year to negotiate, a year to implement, and another year to figure out any feedback. Over that time, BDUK coverage will have reached 95%, 96% and perhaps more. If there is any more to be done, it will already be embodied within contracts and plan. For the intents and purposes of a strategic review focussed on 10 years time, BDUK is indeed done. Everything else you say might well need to come out in the wash. Be tidied up, completed and rectified. Or ignored. The one exception is the USO. But that is a matter for all providers, not just BT. @mikeW the USO could be substantially paid by 1) recovering the overpayments in the proxy costs in the early contacts, 2) independent verification of the BT capital contribution .. if not pay it, 3) early repayment of clawback, and a true up on underspends in each county. None of this should be brushed under the carpet. What better way for Ofcom to prove its intent? There is currently £179m sitting in BT accounts acknowledge as owed to BDUK. If the capital claim is examined I am certain this will also be owed. The invoice and the allowable cost allocation cupboard is all dry as the state has paid all the bills. FTT dp deep in rural for in fill is needed, why not crack on even if demand aggregation is needed to trigger the event. The money is there to do it. Mike, without rehashing old ground about not understanding accounting, your comment that “USO could be substantially paid by …” also overlooks a pretty basic issue, which is that there are numerous state aid issues to be resolved before any USO could be implemented. And that’s before you consider that the proposals are in any case very high level, with an industry consultation on USO due to start in the Spring. Hard to know what eth cost will be before you know what the USO might look like, so impossible to say whether it could be paid for in the way you indicate, even if the state aid issues can be resolved. @New_Londoner What has accounting to do with pretending something costs £500 (DEc9th) a premise passed or £100k a cabinet/fibre path and the reality discovered and the accruals in your accounts. The intervention areas declared, c6m premises in the original notification and the supporting budget means it could have been done without the need for another round of state aid. Your not re-hashing anything because the matters are only beginning to be dealt with. If there are no additional invoices, then the claim you have contributed £230m or £330m capital for phase 1 is misleading Parliament. What could the £230m to September be? Happy to be wrong but you denying a lot of people service improvements. Sensible, because that way competitors can not only establish themselves where Openreach asn’t yet got to, but can then eat into Openreach territory by offering a superior service – genuine competition. Why should they not transfer, how many staff in each division? That’s not the way it is. Payments against the pension deficit (rather than current employees) is paid centrally. There is no point in ascribing a particular portion of the pension deficit to Openreach as Ofcom do not allow any such costs to be included in calculating regulated pricing. That’s in contrast with Ofwat and Ofgem who do allow historic pension deficits to be used in the calculation of regulated charges. In the case of the BT pension scheme, I believe there are something like 300,000 who are either in receipt of a pension or are deferred recipients. It’s how many of them that would have been deemed to have been in what corresponds to OR that will be the interesting question should a split happen (or, even if the accounts have to be further separated). There’s a parallel issue with debt. The issue is not about current employees, but the historic debt related to the 300,000 or so currently receiving a pension or what are called deferred pensioners on the older schemes. I also ought to say you are wrong on a couple of points. Firstly the current BT pension scheme is manifestly not money purchase (or defined contribution as it is termed). It’s still a defined benefit, but a far less generous career average pay based system with higher contributions. Not that this is really relevant, as that’s covered. The other thing you are wrong about is about responsibility for pension deficit on existing and deferred pensioners from the old scheme (including any current employees who have accrued benefits on the older schemes). I believe there are around 300,000 people in that category. That’s not something that can be walked away from, it’s a contractual liability which applies to the entire BT group. There is precisely zero way that a separated OR would be created without some of that liability accruing to OpenReach. It will be the job of accountants, actuaries and lawyers (and possibly the courts) to work out how the responsibility will be allocated. In any event, the trustees of the BT Pension scheme have a legal responsibility to protect their member’s interests and they would be duty bound not to agree to any arrangement which prejudice that. This is not theory, it is not a triviality, it’s serious stuff. There is, I believe, about £7bn at stake on the last review (and if people continue to live longer and returns go down) it could yet worsen. This is no small matter. What is the justification for not including the pension when calculating the regulated prices? Have a good read. As a shareholder I take a keen interest in such stuff as it’s material to the market value of the company. Note that this is a report which was produced on behalf of the UKCTA (ie all the fixed line companies that aren’t BT), so it’s not Ofcom’s official statement, but it seems to have been pretty well what Ofcom decided. I suspect the real issue is that Ofcom wanted to minimise wholesale prices and it suited them not to include any of the historic deficit. This is a summary statement by Ofcom in 2010. I’m not sure if there is a later one (Ofcom’s document organisation leaves a little to be desired). Which level playing field would you rather have? One where BT plays level with other network operators, like VM, who are currently building and operating their own networks as a vertically-integrated operation? One that Ofcom wants some new entrants to replicate? Or one where BT is brought down to play level with the worst leaches, with no investment plans? I happen to think the network is too much of a strategic national asset for the latter. If the leaches really want to be serious at national telecoms, let them put their stake money into the pot, and step up to the other level instead. Something that for me says it all is that Hyperoptic, who are actually investing money in delivering services via their own access network, are pleased while Sky, who happily spend nearly £27 million a week on Premier League rights but haven’t built any commercial access network, are complaining. I think it is quite telling that the bashers have ignored your point ignition. This will be the key failure point. Ofcom and BT will be muddling along as they always have in the past. If Openreach really was to manage its own budget and investment strategy then what’s the difference between a fully independent Openreach and this? A massive pile of legal and operational issues to make it happen initially, followed by extreme risk in the longer term. Oh what a waste of time and money. Still no firm commitment for the USO. This means there will still be rural areas with no broadband and no mobile coverage until year 2020 and beyond. The Government are the ones consulting on the USO (this is imminent), but Ofcom will help with the direction they take. Remember this was a strategy document, with a long view. It was only ever going to end up with further consultations to make things happen. It *is* the firmest I’ve seen Ofcom be over the USO. The bargaining going on to “persuade” Ofcom has also resulted in BT talking about the money they have for the remaining rural areas. The consultation might not end up with BT being the main provider/beneficiary, but at least negotiations shouldn’t break down because no company at all was willing to do something. It means other companies will have to come in with positive counter-offers, at least. Well there was something about when they sell off the next bandwith for what 6G do something about mobile coverage in more rural areas, no doubt they’ll get some vague promise about 3G. And even if rivals build a network to compete with BT it onlt be in the more commercially viable areas once again leaving the less commercailly viable areas behind as for competition Ofcom really need to do something about the BT monopoly on Market A exchanges where there is NO competition, isn’t the regulator supposed to step in when it comes to monoplies. Just think how much more FTTP coverage we could get if they everyone pooled their money rather than potentially overbuilding each other. Understood but what do you suggest? The regulator can’t force other providers to build out or invest in Market A exchanges. Their whole point is to regulate where BT have monopoly and deregulate where they don’t, which is why there are such things as Market A exchanges in the first place. ‘We’re going to give a billion or more pounds of taxpayer’s money to BT, prop up its pensions, and enable other operators to sit back and use the network we mandated, indeed, the structure set up means that local bodies benefit from take-up on that network, and generally dis-incentivize private investment, competition and new network building as far as we can, minimising the number of players either directly or indirectly with our approach’ – the thrust of the BDUK project. It’s a bit late now. Even two factions of the government don’t agree on a way forward. So you’d have preferred no BDUK programme happen at all? That’d have just left people complaining about the ‘digital divide’. Your own quote mentions building of networks when there is potential. There was no prospect of commercial investment in those areas, no-one responded to the Open Market Reviews. Whether you, I, or anyone else likes it or not there are areas that are a few hundred quid per premises to pass with FTTP, that can and should have competing networks, and there are those that cost closer to a couple of grand and will, necessarily, have a single publicly supported network and in some cases perhaps a community/municipal network. .. as opposed to the BTUK programme which presumably came into being after the above was discussed with BT. Indeed, the OFCOM review is closely related to those goals above. And here we are all those years later..
For someone who has no objection against a nationwide government-funded (that’s us taxpayers) fibre broadband this sounds a bit hypocritical, doesn’t it? Virgin Media is not an incumbent! I’m glad that Ofcom didn’t try and whip out the magic wand, and pretend there was some magic solution. Rather map out a direction of travel. The devil will be as always in the detail. You simply can’t mandate co-operation, which is what it needs. So hopefully BT and the rest of the industry can coalesce around some sensible and effective proposals and behave like mature adults. And leave the bawling babies on the sidelines. Ofcom has banged the table. Now the rest of you get on with it. But there is no way of avoiding the lawyers and accountants dotting every i and crossing every t. There are too many potential slips ‘twixt cup and lip. It is easy to come up with an expensive mess, much harder an effective solution and nigh impossible to impose one. The consumers will have to pay, but hopefully not too much, save for those that want it. At best steady progress. Not Big Bang. With all this talk and discussion it will not speed up BT/OR making my cab active, the FTTC has been installed since Dec/Jan 2013. If it is made active by the proposed date June 2016 it will only be 2.5 years wait. So I don’t expect any speedy improvement in new companies installing FTTH. Communications reviews, carried out by the regulator once a decade and deciding the investment environment and regulation over the country’s telecomms aren’t geared towards expediting a single cabinet unfortunately. The experience with one cabinet isn’t really indicative of the experience of the 10s of thousands that have been enabled on or ahead of schedule. As far as I know the old cab P 38 is on one side of the road and the new FTTC is on the other. While the cab has a power warning sticker on it I was told that BT are waiting to have the power connected to it? It just seems to me that not enough people have contacted BT and the date for activation keeps getting delayed, it also seems odd that it has been sited on the other side of the road and could entail a trench across the road for new ducting to complete the job. From what I can see it’s a common arrangements to have cabs and the fibre twin on opposite sides of the road in residential areas, especially where there are amenity or space constraints. Not a problem. But there is a great difficulty sometimes when utilities have to liaise together. There is no national mechanism to do so. So the power companies can be incompetent or just plan awkward. It’s clearly not a priority for them, BT is just another customer, not a priority. And, probably, it’s not financially rewarding and just a b… nuisance. I doubt Ofcom even know anyone at Ofgem, apart perhaps from the accountants. When the regulatory regime was set up, local fibre didn’t exist. It’s either infrastructure competition with heavily regulated services outside of there, a complete free for all, or the taxpayer steps in. Rural areas would be shafted by the second of those, urban areas by the third. The Netherlands is considered to be in good shape for broadband. Guess what got it there? Spain is rolling FTTP apace. Guess why? Ireland is seeing a great gigabit rollout. How’d that happen? Hint – it’s not due to their taxpayers, or to a totally deregulated free market. So its the calling of bluffs now. Maybe Sky and TT could start with the final 1%, those really difficult and expensive to reach. If usage of the poles and ducts was relaxed such that other operators could use the fibre they deploy for any usage (business customers, local backhaul links etc) then I suspect that PIA would start to get a lot more attractive. Hmm I don’t think a lot more attractive, sure it would get more customers without a doubt. But what about what Sky and TT have been barking on about? FTTP across the board, do you think someone is going to come in and do that, do you think Sky and TT will? Because that is what they are asking for, now Ofcom have said, ok we’ll make that easier for you by making duct/pole access easier. Do you think they’ll crack on with it now? Lol, no Fred I don’t. Only two nights ago there was a news item on BBC 1 about a customer who had to wait for more than 12 months to get connected to a simple copper line, while her next door neighbours had working lines going into the same building. There is a reason why BT is one of the worst-rated companies in the UK. A quick look at trustpilot illustrates not just the issues with BT Retail, but also how Openreach has frequently been responsible for the various issues, too. Hopefully Ofcom will be able to force BT and Openreach to do better. This really needs to be sorted out! I’m not sure why BT “should do better”. If the council ran the network then people would just have to wait until they’re ready. No competition. No incentive to do better. If a privatised monopoly runs it then it’s exactly the same, with the identical drivers for performance – namely, none, apart from a small amount of line rental loss which can be ignored in the grand scheme of things. Does any other country have PIA operating successfully, in similar circumstances to us over a large scale network which is run over old and patched infrastructure? In theory it’s easy, all you need is permission to access the ducts and poles; in practice I suspect there are more problems than solutions. Even OR sometimes break their own infrastructure. Our local loop cables are now run in recent ducts, but when the gasmen replaced their pipes it was amazing how often you could see the telephone duct disturbed in their excavated holes. I put a local one back together, but I’m not sure that any one else bothered. Over time I suspected a disturbed duct makes for a blocked duct. The poles aren’t immune either. As with so much else, the infinitely variable British weather might keep life interesting, but it doesn’t make it easy. I think ofcom are calling their bluff here, sky and talktalk talk of under investment and ofcom are saying here you go, invest. I suspect that TT and Sky are pretty well irrelevant to this. It’s just part of their marketing strategy, as it is for BT Retail. Hence the pantomime. This is directed to the infrastructure providers. But, as with every regulator, they can’t create a business or make it viable. Can’t help thinking the pantomime season has come late this year. Widow Twanky is doin’ her nut, having lost her fibres (equivalent to clothes, geddit?) and wants to hang out to dry; and blaming Aladin, engaging in an “Oh yes you will”/”oh no he won’t” argument with the audience on opening up the Cave; with bit parts for the Wicked Uncle after the gold for himself, and the rusty old lamp. Perhaps a virgin keeping mum, rather than a genie. And like in the panto Aladin gives in, but just maybe BT have stolen her lines about giving everyone a hard time. Once you have to dot all the i’s and cross all the t’s it’s going to be horrendously complicated, whoever nominally owns the network. That’s the Anglo-Saxon way: anyone ever had dealings with property? It still resonates with me as the sort of communication I have with the dog. It’s hard to force him to do what I want when “no” is the only common word we share in the vocabulary.